Just like any other people who work at their best, sometimes, we all need a break from what we daily do. Aside from gathering with my family, I do keep my mind away to a "neverland" that keeps on refreshing my technical skill and imagination. The HP Zbook Studio and Rhinoceros 6.0 give me the chance to keep on doing it. Rolling Back From Latest Yet "STOOPID" Windows 10 Updates, To Solve Your Computer Problems. The last 2 weeks, had been a horrible days in using some of my workstations. Specially ones that have Windows 10 on it. The problems raised after each of my workstations receiving Windows 10 updates. Some issues ranging from license activation of my good old Alias Sketchbook Pro, and some stability issues. But the most bugging problems was that I'm not able to print anything from my daily mobile workstations. Okay, okay. The title may confuse numbers of people, when they only read the title without reading through the article. 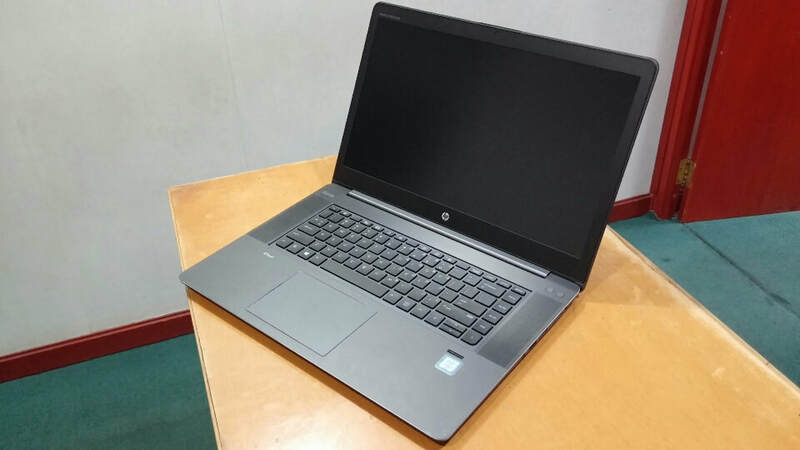 And in this article, I would be talking about the new HP Zbook 15v, that from my personal perspective may technically be the mobile workstation that most engineers and designers hate, if we bring it back to 2014. Some numbers of test results were taken from various sources and references, and compiled them together in order to give bigger picture of the Zbook 15v, instead of just partial information. I've been spending nearly 4 years now in RC plane hobby. I started to design my own parkjet back in early 2015. Started it with HP Zbook 14 and Rhinoceros. Things get even more exciting to me after I have my own Zbook Studio, as well as getting awesome support from global rc plane enthusiasts communities. After designing some groundbreaking parkjets, I finally came up with a jaw dropping design (according to my colleagues abroad), the Sukhoi SU-30SM. And here's my story. With Blender initially released in 2002 as a free 3d modeling, rendering and animation software, it disrupted the market because it was dominated by commercial software which would cost you a fortune to buy it. It is very interesting as the community developed software has been growing significantly, it forces the software company to change their business model into yearly based license. Definitely getting more affordable to some, but still, it doesn't stop the community to develop even better software to share to the world. As my work demands more mobility and performance now, it's very good to have the HP Zbook Studio G3 alongside with my HP Zbook 14. Both are HP's Ultrabook Mobile Workstations. However, seeking the possibilities to strengthen my mobility as well as future use of HP RGS, I decided to go on playing with my new HP Pro Tablet 408 with Windows 8.1 Pro operating system. "Upgrading" Your MacBook to Insanely 44-cores Powerhouse Computing Rig! There's a sense of impossibility on the title written above from the hardware point of view. But, if we have our mind broadened to every possibility, I can say it's possible. And HP is making it possible.